Jason Epstein was born on 26th January, 1928. After graduating from Columbia University in 1949 he was employed by Random House. He was responsible for the Vintage imprint and was involved in publishing the work of Norman Mailer, Vladimir Nabokov, Gore Vidal and Philip Roth. Epstein became a key figure in the Congress for Cultural Freedom. It was later exposed as being funded by the CIA. In an interview with Frances Stonor Saunders for her book, Who Paid the Piper: The CIA and the Cultural Cold War?, he pointed out, he was a member of the Non-Communist Left and was only too pleased to take a strong anti-Soviet line in the books that he published: "Who wouldn't like to be in such a situation where you're politically correct and at the same time well compensated for the position you've taken? And this was the occasion for the corruption that followed." Epstein pointed out the objective of the group was to counter communism: "The Stalinists were still a very powerful gang... There was a good reason, therefore, to question the Stalinists right to culture... What most irritated us was that the government seemed to be running an underground gravy train whose first-class compartments were not always occupied by first-class passengers; the CIA and the Ford Foundation, among other agencies, had set up and were financing an apparatus of intellectuals selected for the correct cold-war positions, as an alternative to what one might call a free intellectual market where ideology was presumed to count for less than individual talent and achievement, and where doubts about established orthodoxies were taken to be the beginning of all inquiry." Epstein told Stephen Spender, editor of Encounter, that the journal was being funded by the CIA. Spender told Epstein that he did not believe him. However, other sources such as Tom Braden, the head of the operation at the CIA, believed that Spender was aware of where the money was coming from. Lawrence de Neufville, who was Braden's boss, commented: "Who didn't know, I'd like to know? It was a pretty open secret." In 1963 Epstein, along with Barbara Epstein, Elizabeth Hardwick and Robert Lowell, helped to establish the New York Review of Books with CIA money. It came in via Jack Thompson, Executive Director of the Farfield Foundation. Epstein was a personal friend of Thompson and claims that he held the job under contract to the CIA for over a decade. It was here that Epstein rebelled and took a strong anti-Vietnam War stance. As CIA officer, Lee Williams, who was involved in the media project, later admitted: "We had a big problem with the yin and yang of the New York Review crowd, especially when it got so anti-Vietnam, and so left-wing." 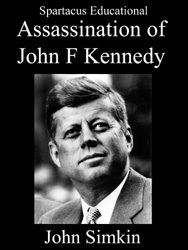 In March 1964 Léo Sauvage published an article on the assassination of John F. Kennedy in Commentary Magazine. In the article he suggested that there had been a cover-up. Sauvage pointed out that all the available evidence against Lee Harvey Oswald had "either been leaked or eagerly and even ruthlessly spelled out - whether true, half-true, or demonstrably false; whether pertinent, confused, or obviously irrelevant" by the Dallas Police. As early as 23rd November, 1963, Will Fritz of the Homicide Bureau proclaimed the case as “cinched” and the following day, only two hours after Jack Ruby "had disposed of Oswald in the basement of Dallas Police Headquarters", the case against him was declared “closed” by Police Chief Jesse Curry and by District Attorney Henry Wade. Sauvage's article greatly impressed a large number of people, including the commissioning editor of Random House and on 11th March, 1964, he signed a contract with the publisher to develop his ideas on the assassination into a full-length book. However, a month after the publication of the Warren Report, Epstein wrote to Sauvage cancelling the contract: "The problem is that the Warren Report has put the Oswald matter in a different light from what I expected, and I'm now convinced that any book which attempts to question Oswald's guilt would be out of touch with reality and could not be taken seriously by responsible critics." No other publisher in the United States was willing to bring out the book and so like other opponents of the lone gunman theory, Sauvage was forced to go to Europe to have the book published. Timothy P. Cross has pointed out that Epstein continued to be an important figure in publishing: "In 1982, after 25 years of lobbying for the idea, he launched The Library of America, which continues to produce high-quality editions of classic American texts. In 1986, he invented The Reader's Catalog, which marketed books directly to readers, a precursor of modern online bookselling." 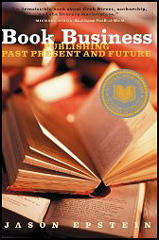 In 2001 Epstein published a book entitled Book Business: Publishing Past, Present, and Future. In 2004 he became involved in the company that markets the Espresso Book Machine. Three years later he was awarded the Philolexian Award for Distinguished Literary Achievement. Who wouldn't like to be in such a situation where you're politically correct and at the same time well compensated for the position you've taken? And this was the occasion for the corruption that followed... What most irritated us was that the government seemed to be running an underground gravy train whose first-class compartments were not always occupied by first-class passengers; the CIA and the Ford Foundation, among other agencies, had set up and were financing an apparatus of intellectuals selected for the correct cold-war positions, as an alternative to what one might call a free intellectual market where ideology was presumed to count for less than individual talent and achievement, and where doubts about established orthodoxies were taken to be the beginning of all inquiry. It's no exaggeration to say that Jason Epstein '49 has enjoyed one of the most remarkable careers in 20th-century publishing. In 1952, as a 22-year-old editor at Doubleday, he created the Anchor Books imprint, establishing the quality trade paperback format and launching the "paperback revolution." (Quality paperbacks have remained a consistently profitable format ever since.) In 1963, during the New York newspaper strike, he became one of the founders of The New York Review of Books, another profitable, intellectual venture. In 1982, after 25 years of lobbying for the idea, he launched The Library of America, which continues to produce high-quality editions of classic American texts. In 1986, he invented The Reader's Catalog, which marketed books directly to readers, a precursor of modern online bookselling. The problem is that the Warren Report has put the Oswald matter in a different light from what I expected, and I'm now convinced that any book which attempts to question Oswald's guilt would be out of touch with reality and could not be taken seriously by responsible critics. This is by no means to say that the Warren Report is not without flaws - its treatment of the evidence, its indifference to many of the ambiguities which are evident in its pages, and its tendentiousness are clear. But for all this and for all the confusion earlier in Dallas, it is inconceivable that Oswald might yet be proven innocent.